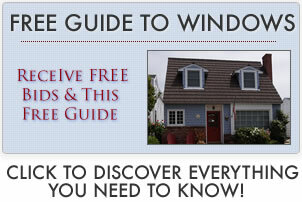 Andersen windows prices are at the high end of the cost spectrum, especially for their 400 and Architectural Series. There is quite a bit of cost variation between their product lines they offer. Andersen offers four main window models and series to choose from under their name. The company also offers products under various companies they own, including Renewal By Andersen, Eagle and Silverline. This series uses a fibrex composite frame, this is a mixture of PVC and sawdust. These windows are considered a builder grade window designed to compete with vinyl options and was only hit the market in 2010 selling in the South West and then moving throughout the market. Often these are used as new construction windows or replacement options. These windows are often seen as good performance windows at a reasonable price. They come in standard sizes and colors and can be compared to the Okna Starmark. In reality the Starmark is not only about $200 more expensive, it is also more durable with better performance. » Comparable to the Okna 500 Series. This series was called the Builders Select range and is the entry level window choice when it comes to vinyl clad wood. There are two models available, the Tilt-Wash and the NarrowLine. They are limited when it comes to options including colors and sizes. Looking at the Tilt-Wish you can expect a white or standard pine inside with a white or sandstone outside and a PPG Flexicron on the sash, not cladding as you would expect. Many contractors don’t like this sill designa nd feel that it will cause damp problems in the future. The NarrowLine windows seem to be a better choice and suggest all homeowners look at the 400 series before choosing the 200 series. While the 400 series may be a little more expensive they are stronger and offer better performance, including opening and closing. Explore Andersen double hung prices. » Comparable to the Pella ProLine Series. These are vinyl clad wooden windows which have been upgraded from their 200 series. They are better designed with more choices available including color and sizing options. This series is also available in two models, the Tilt-Wash and the Woodright. While the Tilt-Wash uses a better design when it comes to the sill than their 200 series, it does use the PPG Flexicron sash finish. The Woodright is the same as the Tilt-Wash when it comes to the frame and sill except they use a fibrex on the sash instead, which is preferred over the PPG option. The Woodright is limited when it comes to colors though, but it is still considered the best window from Andersen. » Comparable to the Marvin Ultimate Series. Architectural Series by Andersen is a premium window which offers plenty of options when it comes to color with thirteen to choose from. The great thing about these windows is that they are customizable and have a number of great upgrades. You can choose your interior finish from oak, maple or pine. The frame is fiberglass with a fibrex sash and are made to offer superior energy efficiency. » Comparable to the Loewen Cyprium Collection. Cost from website – 2010. Listed on website – 2010. Costs from website – 2010.